You want a meerkat experience? Well you’re in luck cos we’ve got them coming out of our ears. 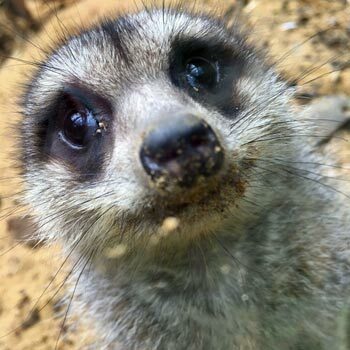 We’ve more meerkat experiences than you can shake a stick at, all those furry little rascals just waiting to climb all over you! And at the net’s lowest prices too. What more could you ask for? Where can I get a meerkat experience? 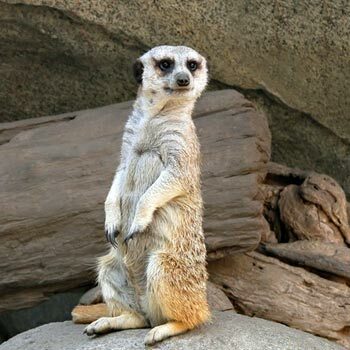 As well as Chester zoo, at the time of writing there are just two fabulous animal parks in the UK where you can get up close and personal with your little furry friends, the legendary meerkats. One is Drusillas Park at Alfreston in East Sussex, the other is Paradise Park at Broxbourne Hertfordshire. These are great wildlife parks with lots of happy and well-cared for birds and animals, but they specialise in “up close and personal” animal experiences where you can go in and interact with the creatures, feeding them and (for small furry or feathered ones at any rate!) going into the enclosure with them and mingling for real. Different wildlife parks start and stop experiences from time to time, so check out the complete list below for the latest. 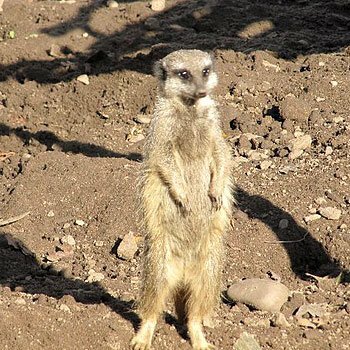 Everybody has come to love these brilliant little chaps from the TV ads, and you can imagine how a real meerkat experience is so very much better than having a stuffed toy. Well the first thing is that you get into the wildlife park for free and can spend all day there exploring the fantastic range of other birds and wild creatures they have, take photos, take videos to upload on Youtube, and generally have a day out to remember. But the main event revolves around feeding time – between three and four in the afternoon. And as you’d expect with animals, it’s always feeding time when they’re at their most active and keenest. A bit like you when your dinner’s ready I guess. 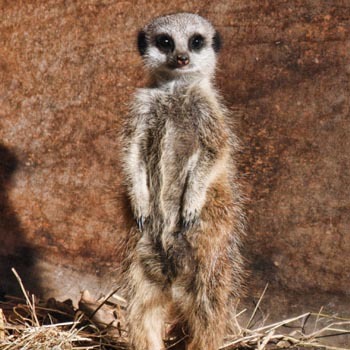 You pop along to the meerkat enclosure and their keeper gives you the lowdown on all things meerkat. They’re cheeky furry little fellows, but in the wild, they’re right little devils and it’s best not to cross their path if you’re a big centipede. Then it’s in with the lads themselves to give them their meal. And they’re so keen to eat, and so very very inquisitive, that the first thing they do is climb all over you to see what you’re about and what you’ve got for them. We thought they might nip a bit as they’ve got really sharp little teeth, but there was none of that and they were the friendliest creatures imaginable. You get covered in meerkats. There may be big ones, middle sized ones and even babies, depending on when you go. You get to stay in the wildlife park all day, included. The keepers are fabulous, and second only to the meerkats themselves in being interesting. There are often good offers on, and what is already a very good price often becomes a really cheap experience. If you don’t live in the South of England, then it’s a fair old trek to the two parks where you can mingle with these lads, although Chester zoo occasionally runs these experiences. We thought it was well worth it though, and made a weekend of it. Meerkats like nothing better than to climb all over you while they eat their tea and they don’t care where they put their little paws, so we’d advise you to wear old clothes rather than your new threads. That’s easy. You check out the experiences above, secure in the knowledge that they’re all from top flight companies who will give you a great experience at a great price. (We don’t send you to any sharks on this site!). Then click on the one you want at the price you like and check out the details. When you’re happy, you can buy your meerkat feeding experience there and then, and sit back and wait for your tickets. And take a look at this pic from my own time with these furry rascals. Mostly you see those dear little cutie-pie ones where they stand on their back legs on sentry duty, but I caught them wrestling with each other. Meerkat feeding is one of the top gift ideas at the moment. People have got tired of giving the same old presents that nobody really enjoys or wants, and once they find out about experience gifts, then that tends to be all they give. Because everybody loves receiving an experience as a gift, and of course absolutely everybody loves meerkats. And at these prices, you can afford to be generous – how many people can you think of who’d just absolutely LOVE to feed the meerkats? But don’t forget to get one for yourself. Feeding meerkats experience3.25Sarah FirminThis lady seems to be loving meerkats a bit too much! Anyway, you can feed meerkats and have them climbing all over you and it’s a great gift. You’ve seen these furry little chaps on TV, now see and touch and feed them in the flesh for a brilliant day’s entertainment.